Designed by Miss M Patricia Jenkins MA, founder of Loomcrofters, Gagetown, New Brunswick, Canada. 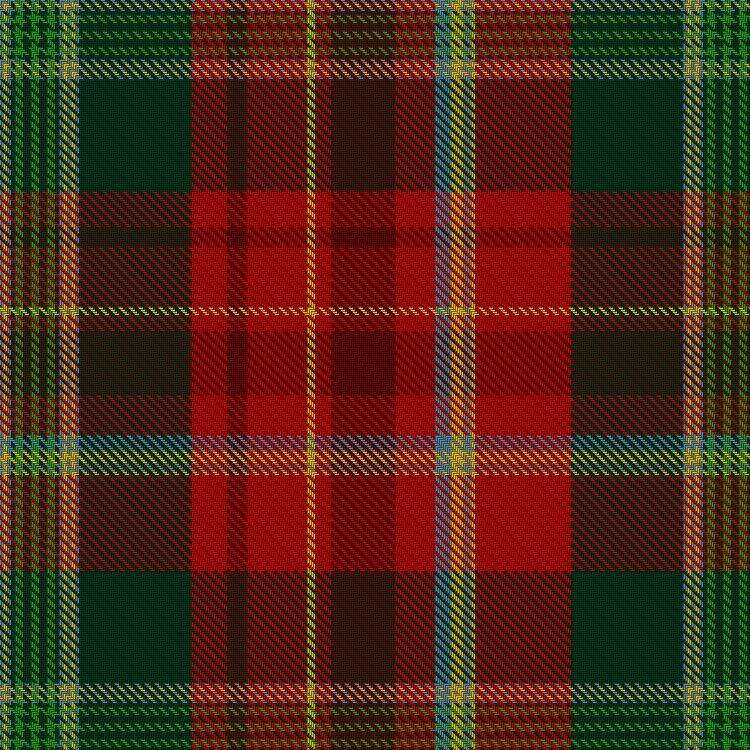 Commissioned by Lord Beaverbrook and then adopted by New Brunswick as its district tartan. New Brunswick’s three historical industries – Lumbering, Agriculture and Fishing – are represented in the design by the forest green, meadow green and blue interwoven with gold for the province’s potential wealth. The red blocks surrounding the green signify the loyalty and devotion to Crown and Country of our Loyalist settlers, the New Brunswick regiments and all our peoples. The block also contains the grey and gold of the provincial Coat of Arms and the Regimental Crest. Because the first weaving of the design was commissioned for Lord Beaverbrook, the province’s eminent benefactor, the red blocks are highlighted by ‘beaver’ brown.